Formula One says it is investigating circumstances surrounding the imprisonment of an activist in Bahrain. F1 will head to the Gulf Kingdom for round two of this year’s world championship later this week facing renewed criticism after Najah Yusuf was handed a three-year jail term in 2017. Yusuf was imprisoned following a series of social media posts in which she denounced the political and social systems in Bahrain, as well as opposing the race. The Bahrain government, however, has denied Yusuf’s comments about the grand prix led to her conviction. But it has been claimed by human rights groups that she allegedly faced process violations throughout her trial – including reported sexual assault at the hands of authorities during her interrogation – and the use of a coerced confession in her conviction. A number of campaign organisations have subsequently addressed F1 and urged them to put pressure on Bahraini officials. Last week, Human Rights Watch urged the sport not to turn a blind eye to events in the country, and encouraged letters to be written to both F1 chairman Chase Carey and FIA president Jean Todt, calling on the sport to change its human rights strategy. Formula One will return to Bahrain next week, overlooking the grave rights abuses in the country. The Formula One’s governing body should adopt a human rights policy to identify risks and make use of its leverage to end rights abuses. Traditionally, the sport does not comment on such cases, but in a statement released to the Press Association, F1’s management group insisted it is in dialogue with Bahrain over the plight of Yusuf, while also defending its human rights policy. The statement read: “We continue to remind all our promotors, including Bahrain, that peaceful protests at all our events is a democratic right, and we continue to raise our concerns in regard to Ms Yusuf with the Bahraini authorities. “Only last week we met to discuss Ms Yusuf’s case with campaigners, we continue to investigate the circumstances surrounding it, and as all these parties are aware, we are working on a number of initiatives in regard to this case, that we, and they, have agreed it would be unhelpful to comment on further at this time. Next stop… Bahrain, for race 9️⃣9️⃣9️⃣!!! “Formula 1 is committed to respecting internationally-recognised human rights in our operations globally and we take all such responsibilities seriously. “As a global sporting organisation we already have a clearly defined human rights policy. 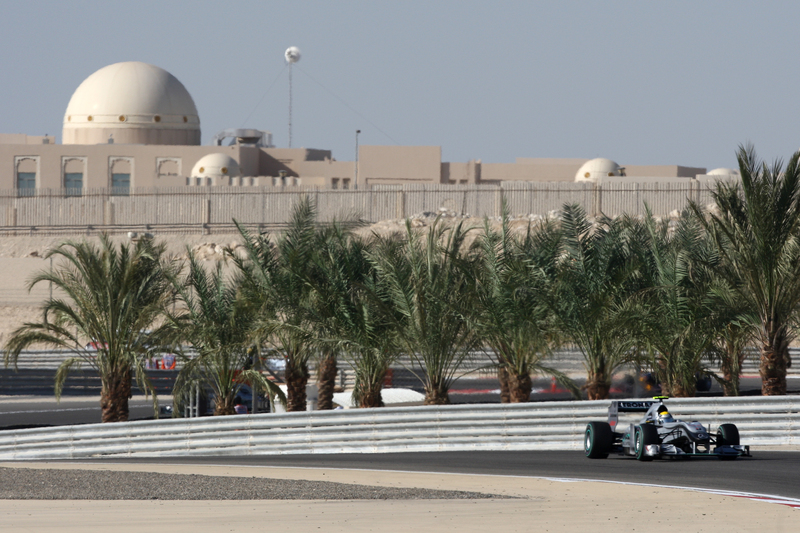 F1 has staged a race in Bahrain since 2004. The grand prix was cancelled eight years ago following a series of anti-government protests. Meanwhile, Liberty Media, the sport’s American owners, will present their post-2020 blueprint to team bosses and the FIA at a crunch summit in London on Tuesday. A new set of regulations will be laid out as well as the introduction of a budget cap which is hoped will make the sport more competitive.